When I glimpse on this tagline "Kota Kinabalu First Raw Pork Noodle", "Kim Hing Li 1982 Year" I thought of entering a time machine travelling back to year 1982. I quicky jump back to reality or year 2014 when they ask me to pay RM9.30, that was really close because I was about to pay cents like RM1 ?? 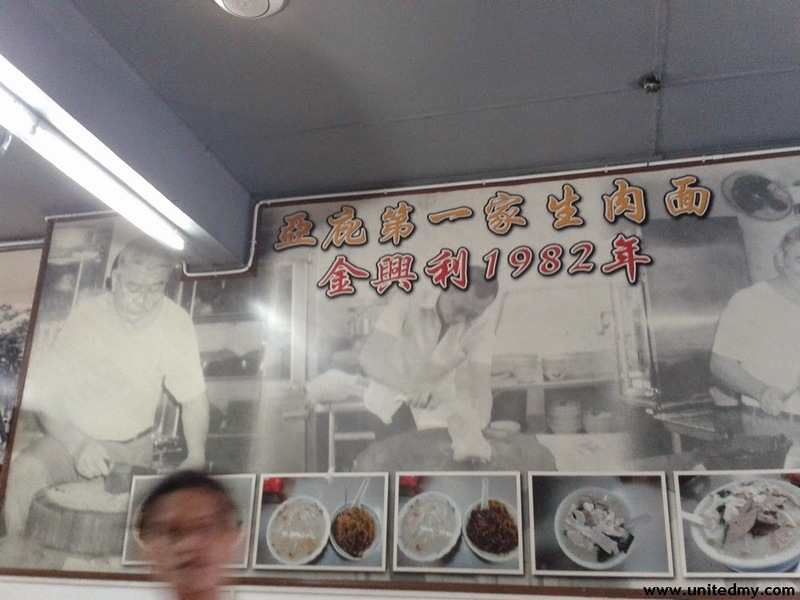 Who knows how much it costs in the year 1982 a bowl of Sang Nyuk Mian. They said, Raw Pork Noodle is first invented in Sabah, originated from Sabah we should be proud, they said. You must at least see the above pictures 10 times because you apparently hungry right now and the word "breakfast" makes you even more I know it as I am having that now in front of the screen. That black Soya sauce and that salty pork soup it will make your day brighter and don thank me for that ! 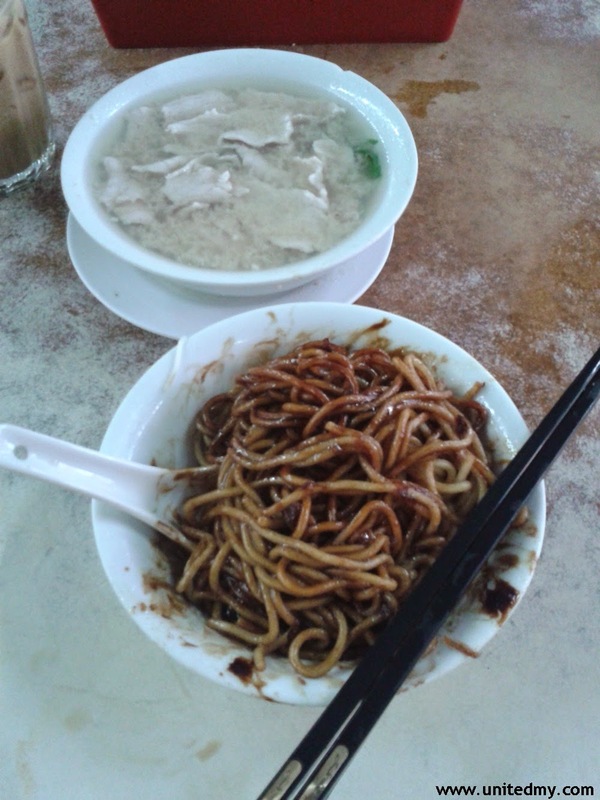 If you want an oily-heavy-pork-salty-noodle-black-soya-sauce breakfast choose Sang Nyuk Mian ! That was a RM2.50 or lesser Nescafe Ice ! 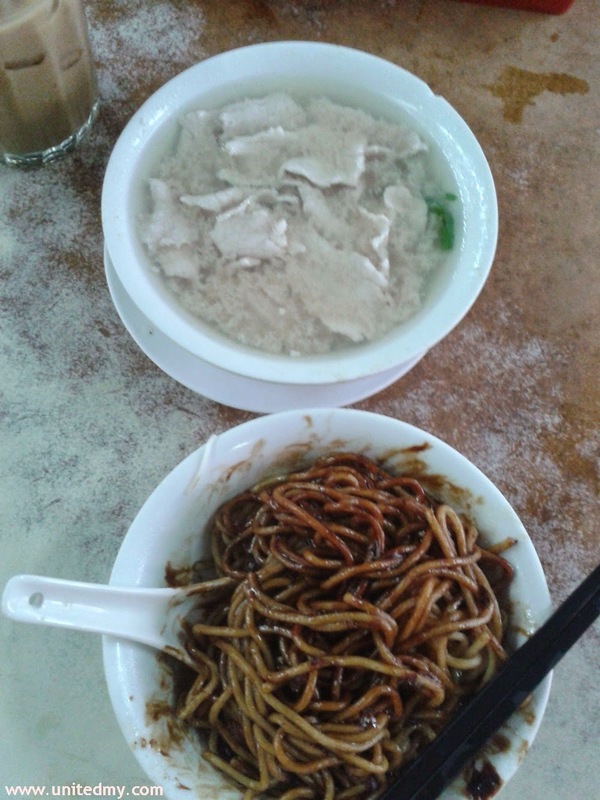 Prepare RM10 because that is the rate you are going to pay for Sang Nyuk Mian and Nescafe Ice when you are breakfast at Kim Hing Lee Coffee Shop. I wonder if they serve 100 peoples in a day that would be RM1000 gross profit before deduction of material cost. 100 peoples eating Sang Nyuk Mian that not some difficult task.